Reassurance shield after the 40 split as we head out of Hermosa. 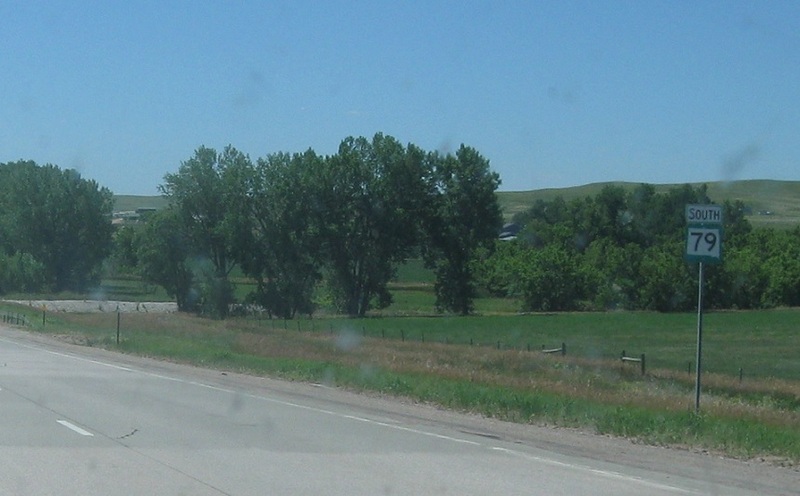 A couple miles later, we’ll approach Highway 36. 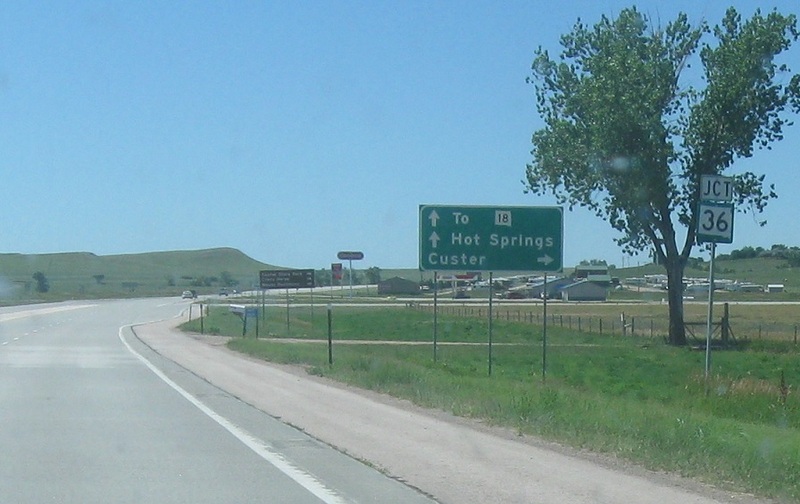 Follow 36 west to Custer. 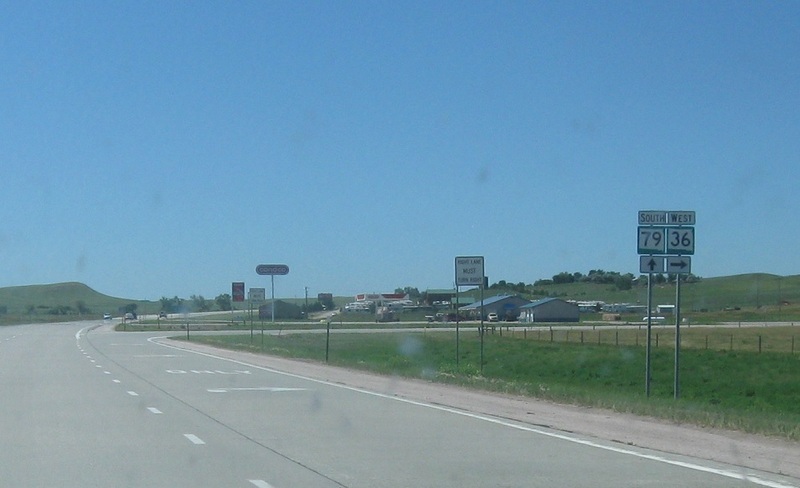 Stay on 79 for Hot Springs and erroneous US-18. 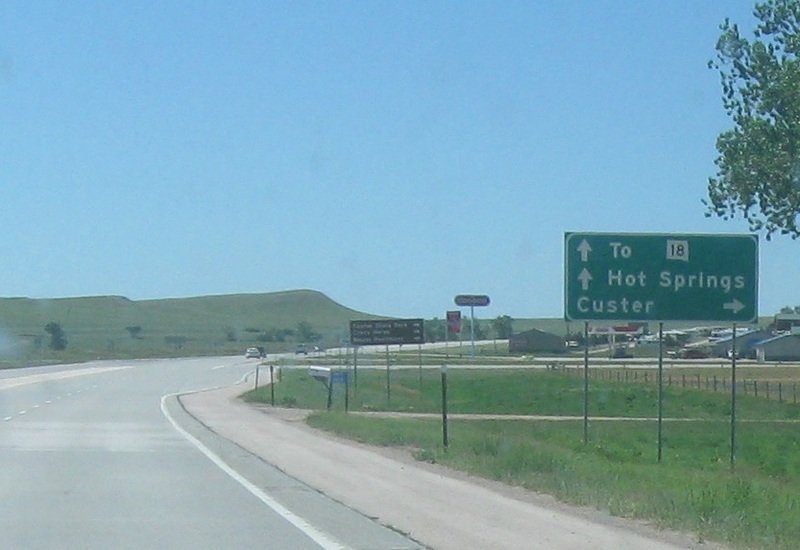 Turn right for 36 west. Stay straight for 79 south.